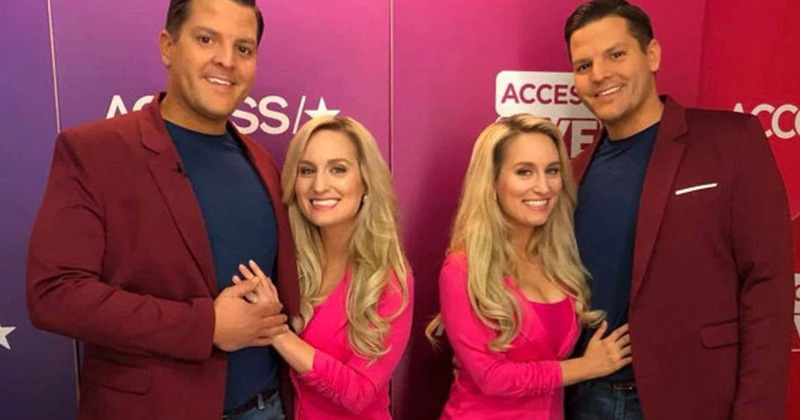 A set of identical twin sisters who married identical twin brothers now plan to move in together, and even have synchronised pregnancies. 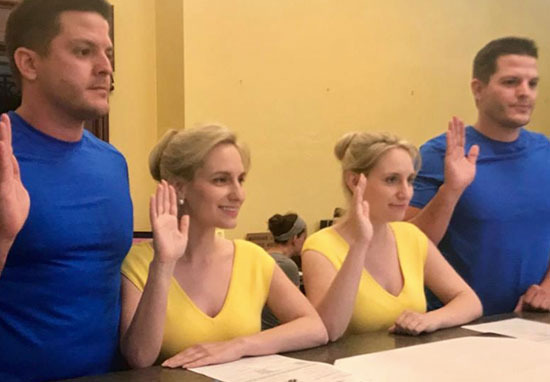 When Josh and Jeremy Salyers, 35, met Brittany and Briana Deane, 33, they called it a ‘double fairytale’. 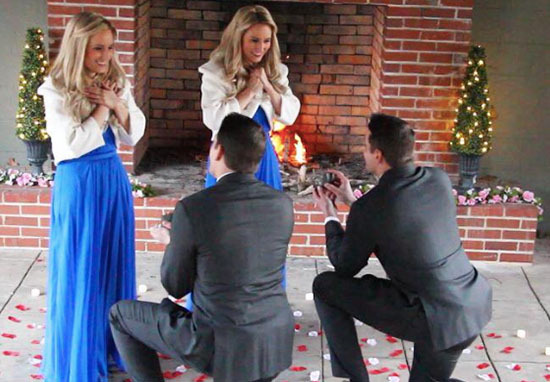 Well, the little family of four might just make it a double dream come true as they now hope to raise their families together in their joint marital home in Virginia. They are documenting their journeys on a new TLC documentary Our Twinsane Wedding. We want to have twins and we want them to be born on the same day. I know that’s four babies. We’ll be raising our families together as well, that’s something we are all on the same page too. 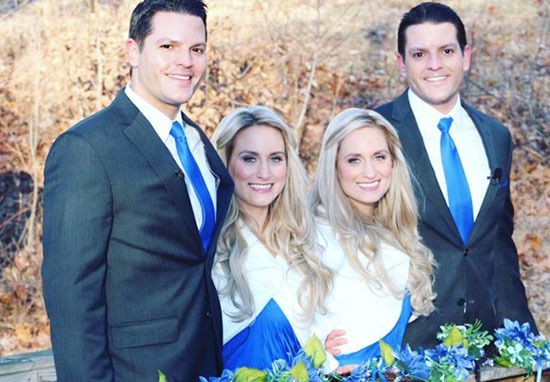 Brittany, who is married to Josh, says their future children will be closer than typical cousins, thanks to their unusual genes. They’ll be cousins in theory, she explained, but they’ll be ‘genetic siblings because we share DNA’ and so the children will also have the same DNA. The sisters already share everything together, from their careers as attorneys at the same law firm, to their exam results throughout school. Sometimes they even share a bed. Parenting will be no different, apparently. If she [Brittany] was pregnant I would prefer being pregnant too. Being pregnant at different times would be difficult especially with the physical changes that happen. So if I was pregnant and Brittany wasn’t, I imagine I would look very different… That would be so hard. We’d be different weights, we would look different, our bodies would be experiencing different things. Both sets of twins’ parents support their decision but wonder what life will be like for their potential offspring. I like to think about their families and what their life might be like. If they end up with one child, do they have four parents? How will discipline work? Recognising mum versus aunt and dad vs uncle. It’ll be interesting that phase. The women admitted they’d each consider themselves a mother of the other sister’s children too. That was something always in the back of our minds dating singleton men. There wasn’t that understanding of what happens when there’s children. I’m going to feel like I’m also the mother of Brittany’s children and she’ll feel like she’s also the mother of my children.